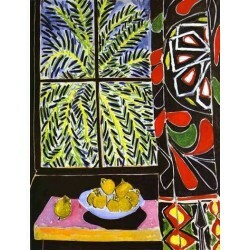 Henri-Émile-Benoît Matisse (December 31, 1869 - November 3, 1954) was a noted French artist, working in a number of modes, but principally as a painter he is considered one of the most significant artists of the early 20th century. 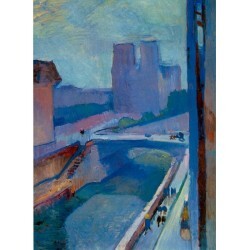 He was born in Le Cateau, Picardy and grew up in Bohain-en-Vermandois.In 1887 he went to Paris to study law. 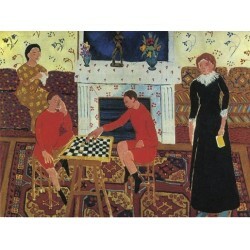 After gaining his qualification he worked as a court administrator in Cateau Cambresis. 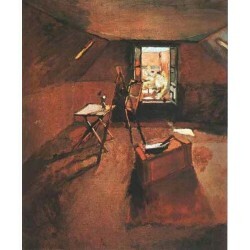 But following an attack of appendicitis during his convalescence he took up painting. 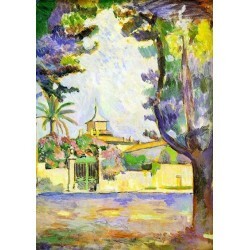 On his recovery he returned to Paris in 1891 to study art at the Académie Julian and became a student of Odilon Redon and Gustave Moreau. 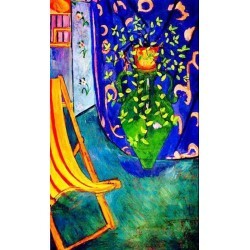 Influenced by the works of Edouard Manet, Paul Signac and Paul Cézanne he painted in the Fauvist manner, becoming known as a leader of that movement.His first exhibition was in 1901 and his first solo exhibition in 1904. 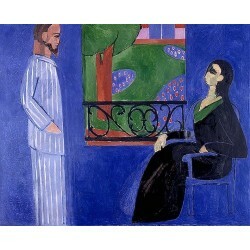 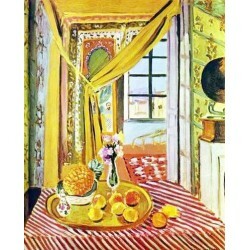 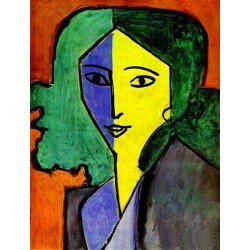 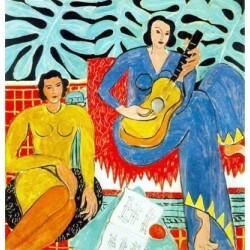 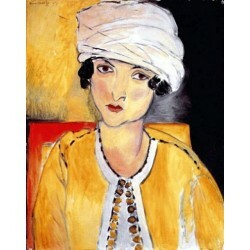 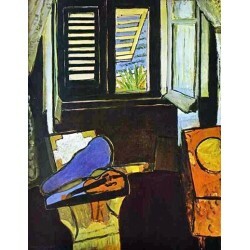 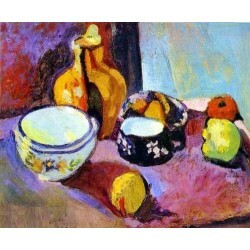 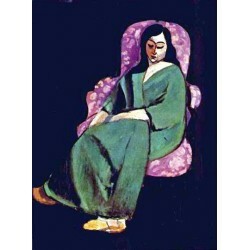 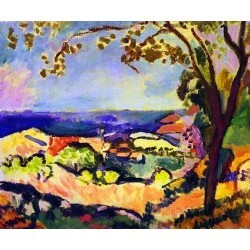 His fondness for bright and expressive colour became more pronounced after he moved southwards in 1905 to work with André Derain and spent time on the French Riviera, his paintings marked by having the colors keyed up into a blaze of intense shades and characterized by flat shapes and controlled lines, with expression dominant over detail. 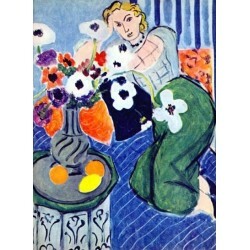 The decline of the Fauvist movement after 1906 did nothing to affect the rise of Matisse; he had moved beyond them and many of his finest works were created between 1906 and 1917.In 1921 Matisse settled in Nice and continued to work in a more luxurious environment with less attention and a more 'decorative' style. 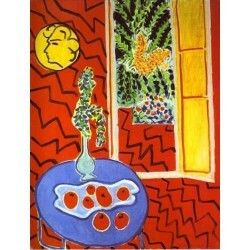 In 1941 Matisse was diagnosed with cancer and following surgery he soon needed a wheelchair; this did not stop his work however. 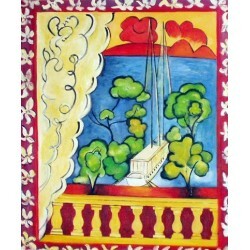 But as increased weakness made a easel impossible he created paper cut collages called papiers découpés, often of some size, which still demonstrated his eye for color and geometry.He died in Nice. 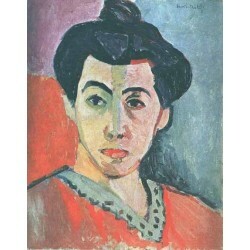 Unlike many artists he had international fame and popularity during his lifetime. 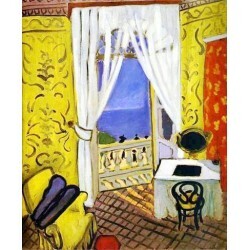 Right from his early shows in Paris he attracted collectors and critics. 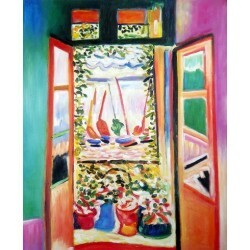 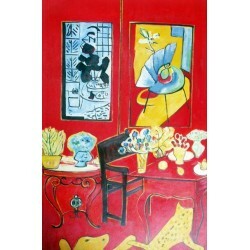 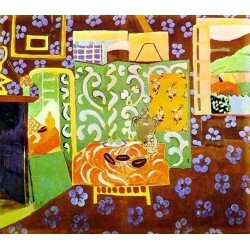 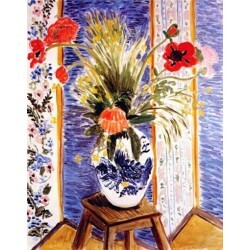 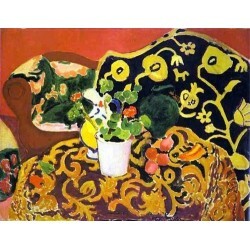 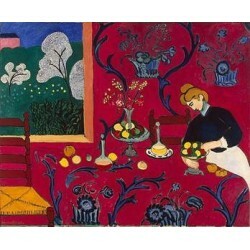 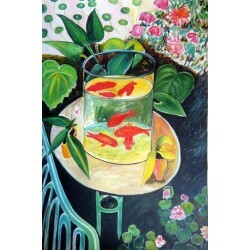 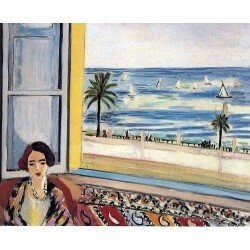 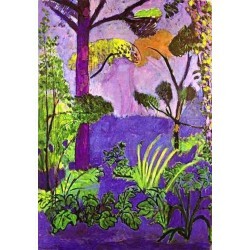 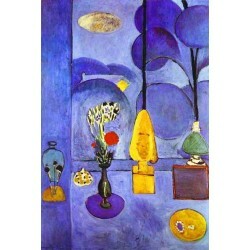 Henri Matisse There are 37 products.